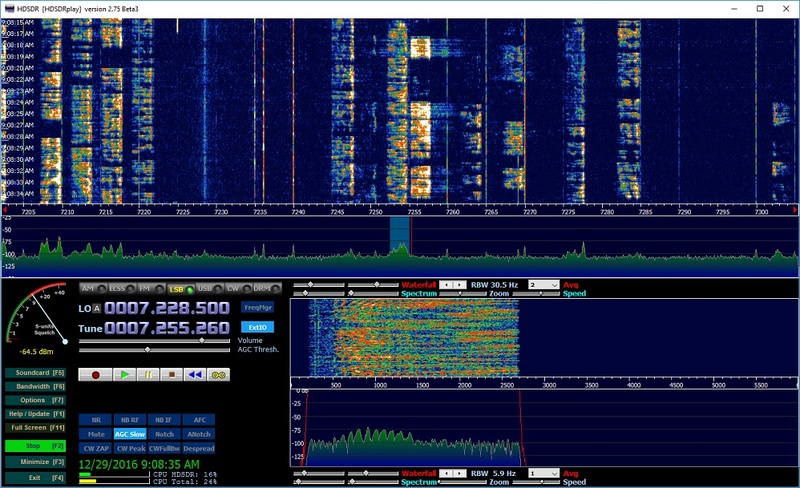 HDSDR is one of my favorite SDR software applications. It's easy to setup and fun to use. From the HDSDR website, HDSDR is a freeware Software Defined Radio (SDR) program for Microsoft Windows 2000/XP/Vista/7/8/8.1/10. Typical applications are Radio listening, Ham Radio, SWL, Radio Astronomy, NDB-hunting and Spectrum analysis. Download the HDSDR software from the HDSDR website.